In light of recent trends, I have this sneaking suspicion I kind of missed out on a childhood right of passage. Did you have a piñata at one of your parties as a kid? Have you had the thrill of hitting the heck out of a swinging paper object? Did you squeal with joy when the candy rained down on your head? 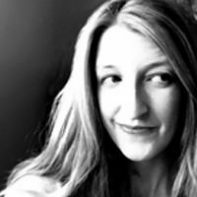 I am disheartened to say I have not had this particular experience – but I have a feeling a lot of you are in the same boat as I am! Seems to me it’s time to remedy this situation, and add a piñata to your next gathering right away. I don’t care if that means you’re having a “Hey it’s Tuesday!” party as an excuse for your piñata batting, I just know it’s time to make this happen! Or, you could try one of these sweet DIYs instead. 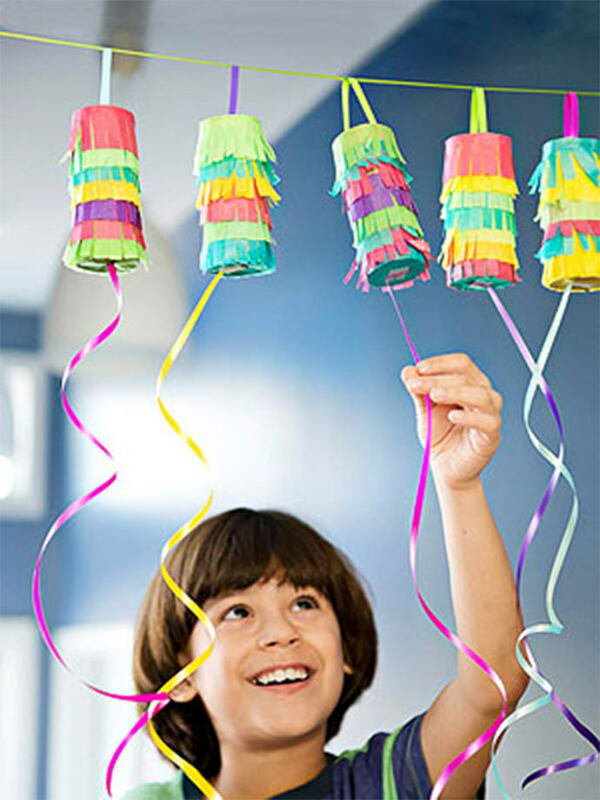 Keep it fair for each and every party-goer, and make them their own individual piñatas. You don’t get to swing the bat, but the results are just as satisfying. Want a quick project with lots of impact? 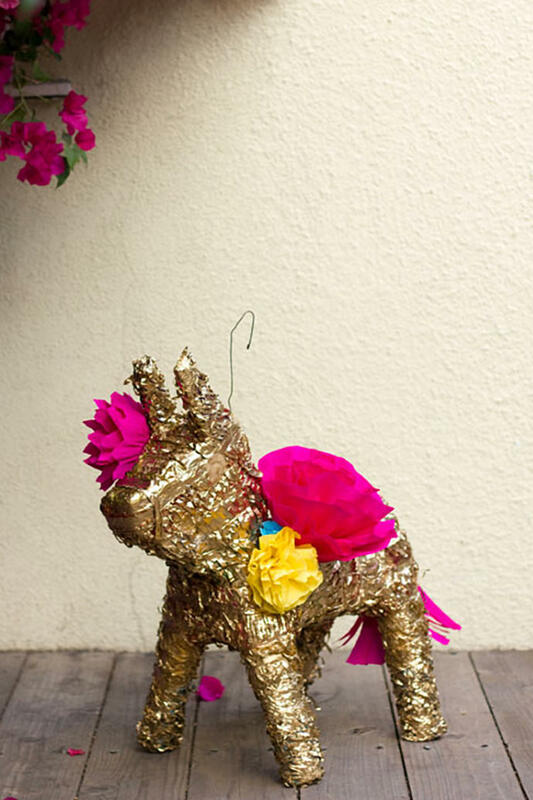 Grab a store-bought piñata and then follow this tutorial for some gilded goodness. 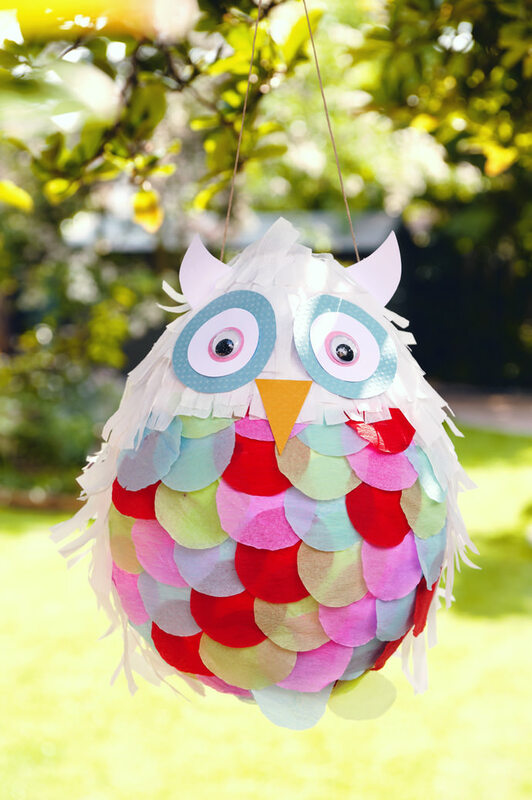 I’ve never seen an owl piñata before, and I never would have thought it could be this simple to make one either! Want more sweets and less paper waste? 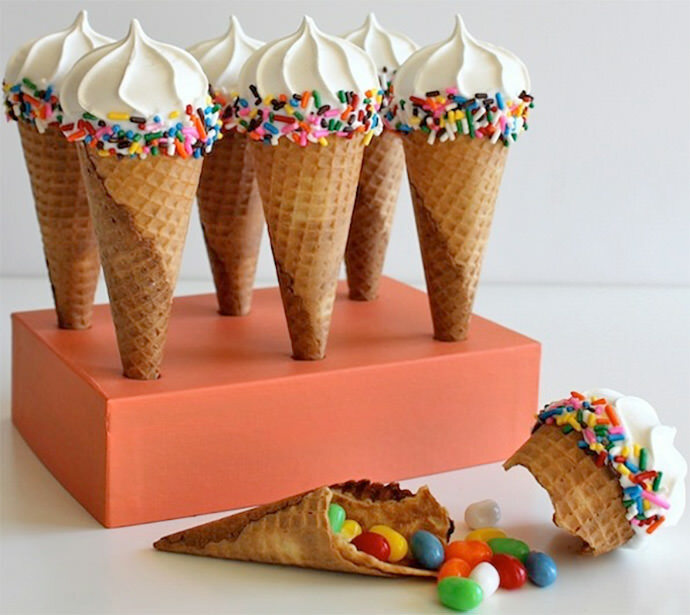 How about turning your favorite waffle cones into mini piñata masterpieces? These things are just adorable. 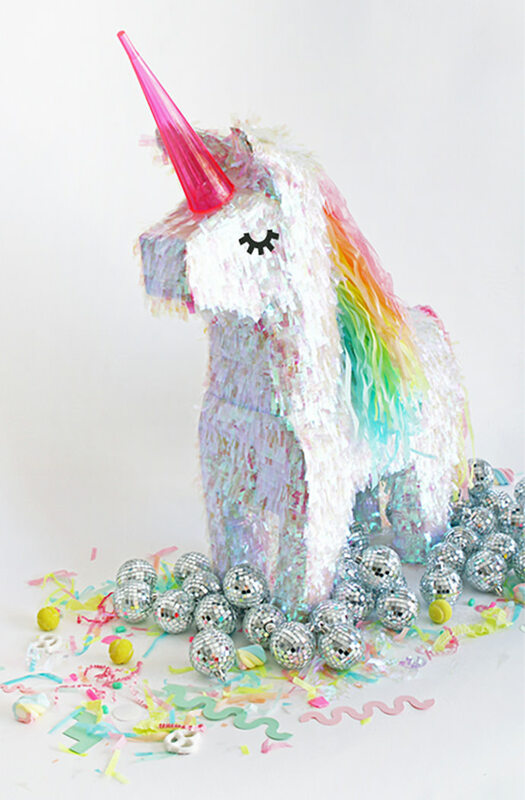 Pictured at the top of this post: Unicorn Pinata Makeover, tutorial via Oh Happy Day.